« You want to know why? This is why. It’s beginning to look a lot like Christmas. Holy crap, can you believe it? We know that Santa is watching and we’re trying ever so hard to behave ourselves, but honestly, it’s not easy. The Sister’s generally do have trouble behaving. 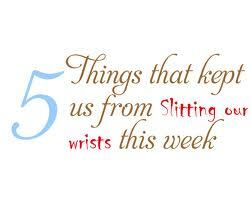 It’s a darn good thing these five things were around to distract us. 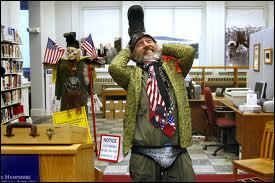 Here he is wearing his cod piece - clearly ready for the debates. though: he might really be the one. He is running on a platform so magnificent we feel confident that you’ll also see his brilliance. Are you ready? His Democratic platform is zombie preparedness, mandatory tooth-brushing and the promise of a pony for every American. A pony! Are you kidding? Sold! And Amylynn gets her brother’s pony because he’s allergic. Ava thinks we could start a pony exchange for those people that don’t want theirs, then when we collect around twenty extra ponies, we bargain with the Chinese for one of their red pandas. That seems a fair trade – twenty ponies = one red panda. This is going to be awesome! 2. Bono gives us a compliment. Well not the Sisters, exactly, but how cool would that be? Think of the post we could write if Bono happened to make a comment on our blog? Actually, if ANYONE made a comment on our blog. Sigh, that’s not the point. Bono told Time magazine that American leadership has been one of the greatest influences in the breakthroughs in fighting Aids. We think that’s a pretty nice compliment since it seems all we hear are negative things about our leadership – and all too often, rightly so. Bono gave kudos to Presidents Bush, Clinton, and Obama. So pats on the back everyone. You can still give someone a merry Christmas. The pandemic is on the decline – now is not the time to let up. Ava been saying for years she's less than six away....she's yet to prove it. 3. 4.74 Degrees. Do you remember that game 6 Degrees of Separation? The theory was developed by psychologist, Stanley Milgram, in the 1960’s that you and every other person on the planet were only separated by six people. The concept meant that you could meet anyone as long as you could line up the right six people to get you there. The Sister’s could meet the Pope or Robert Redford or Idi Amin so long as we found the right six people to introduce us to the next person and the next until there you were, shaking Barry Manilow’s hand. Well now, thanks to Facebook, that number has shrunk to 4.74 people. We’re assuming the .74 of a person represents a midget. We’ll be the first to admit that we don’t understand exactly how it’s supposed to be easier to meet people now days if you always have to have a midget in the mix. Whatever. 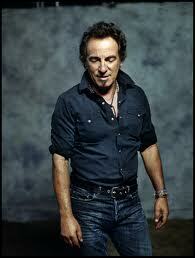 We brought this up because of Bono. If you’re still confused, reread #2. We have a comment open and ready for his pithy bon mot. You 4.74 people go ahead and line yourselves up. 4. Kepler-22b. They discovered another Earth! Well not exactly Earth, but it’s the closest planet within the “Goldilocks zone.” That’s the hard to find zone scientist have created that holds the parameters for life on another planet- not too hot or too cold. NASA describes Kepler-22b as having a “shopping mall-like surface temperature of near 72 degrees.” Dear heavenly bodies! It’s like they’re begging the Sisters to go there. And with our burgeoning relationship with NASA we feel confident that we’ll be welcomed aboard one of the first colonizing ships. We already have plans to open our cupcake/book/jewelery store next to the first Starbucks. 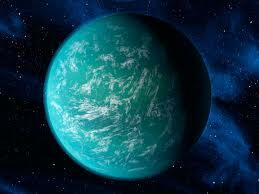 All that’s left to do is come up with a better name than Kepler-22b. That’s just a ridiculous name. 5. A Christmas Carol – Charles Dickens. One of the Quill Sisters loves Charles Dickens. Being a HUGE fan of the Christmas season, her favorite is naturally “A Christmas Carol.” Almost without fail, she re-reads it each holiday. She has been known to stay up late into the night to watch any version of the movie. Any version, even the bad ones, yes, you Kelsey Grammer. This upsets her children but she will not be dissuaded from this path until she’s seen it at least 4X every year. Her favorite line? 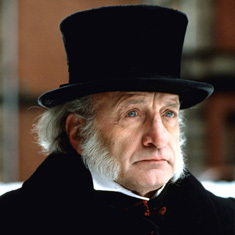 Scrooge to Marley’s ghost: “There’s more of gravy than grave about you” How brilliant is that? That Charles Dickens sure could turn a phrase!